It’s been a busy week here and poor Miko has been pouting about us not spending enough time with him, he cuddles up to hubby on the couch while giving me the stink eye while I’m running around cleaning, preparing food in the kitchen, etc. Going to work all day is important for buying them food, but I also sometimes feel guilty for not spending enough time with them. So torn! Not the case with curry, I pretty much like it in any recipe, especially when it’s in a hearty, one-pot meal loaded with protein and fiber. 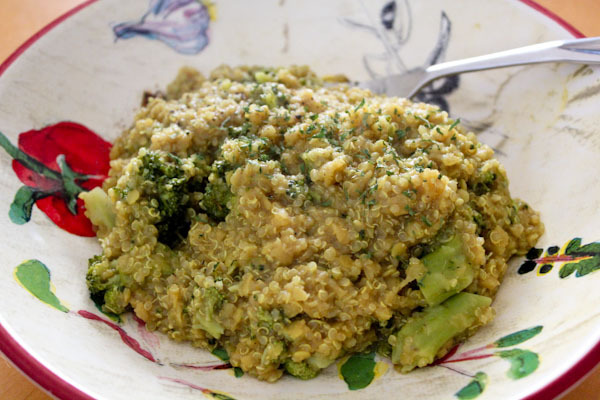 And it works well in this simple quinoa recipe with lentils and broccoli. Yeah, I’ve kind of been on a quinoa kick lately, it’s such a great pantry staple for hearty, whole foods cooked dishes and blends so well with lentils. This curry recipe has nice flavor with a savory garlic kick that isn’t too strong. Rinse quinoa and lentils in a mesh strainer. Place all ingredients into a medium soup pot and bring to a boil over medium/high heat. Simmer for 20 minutes, or until loose liquid is absorbed, stirring frequently. The ingredients come together quickly in a pot. And makes a vibrant presentation when served. 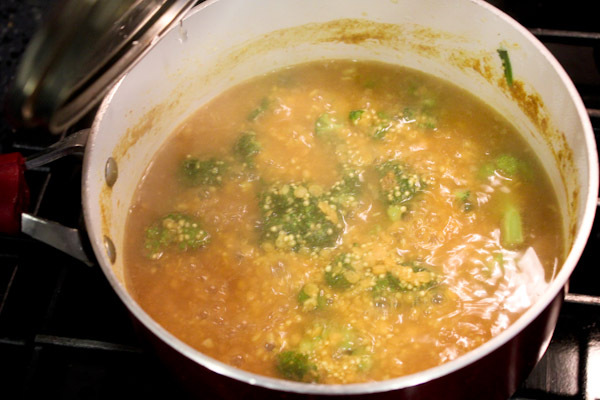 The texture is hearty while the lentils take on an almost creamy texture working well with the softened broccoli. This hearty, whole foods dish makes a nice break from salads while still being healthy and satisfying. Thanks! 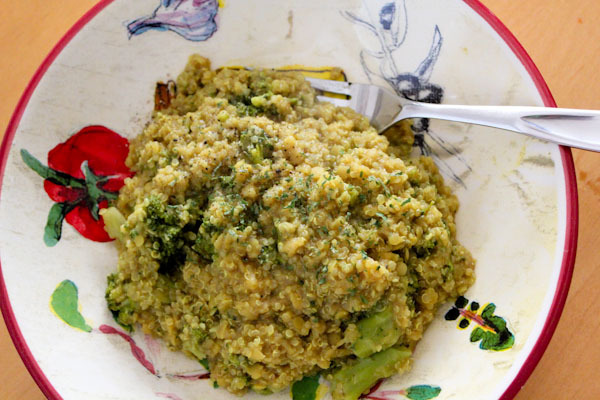 Quinoa is such a great pantry staple, so easy for a fast one pot meal. Paco has been frumpy lately too! Poor guy! But his is his knees, hips, and immune issues I’m sure of it! 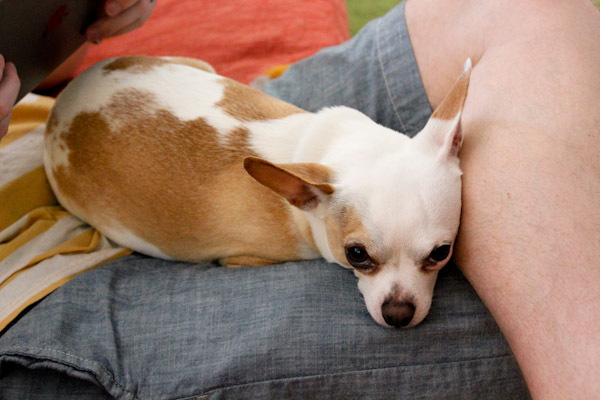 Poor Paco, hope he’s feeling okay!